The story of turbulent, transformative change has always certainly been the key component of the Phoenix saga, and with the coming of 20th Century Fox’s Dark Phoenix, it seems that has not changed. 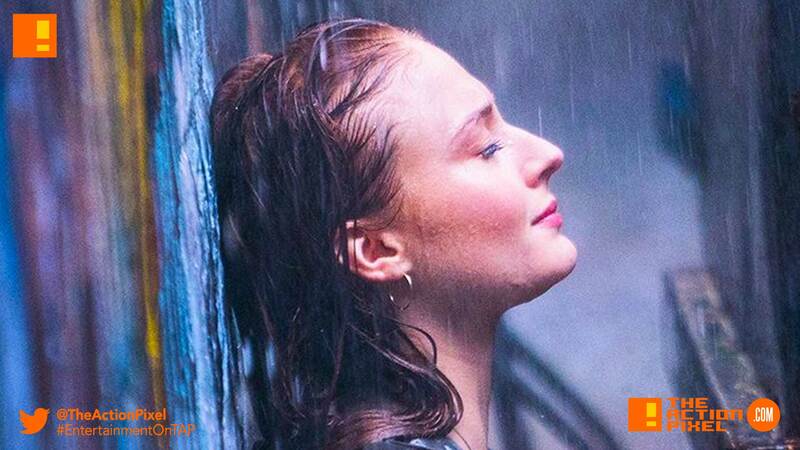 Releasing an image from the upcoming movie, we get a look at Sophie Turner’s Jean Gray who looks to be taking a much-needed cool down. But we doubt any amount of rain and petrichor will sedate the beast awakened in her. In DARK PHOENIX, the X-MEN face their most formidable and powerful foe: one of their own, Jean Grey. During a rescue mission in space, Jean is nearly killed when she is hit by a mysterious cosmic force. Once she returns home, this force not only makes her infinitely more powerful, but far more unstable. Wrestling with this entity inside her, Jean unleashes her powers in ways she can neither comprehend nor contain. With Jean spiralling out of control and hurting the ones she loves most, she begins to unravel the very fabric that holds the X-Men together. Now, with this family falling apart, they must find a way to unite — not only to save Jean’s soul, but to save our very planet from aliens who wish to weaponize this force and rule the galaxy.